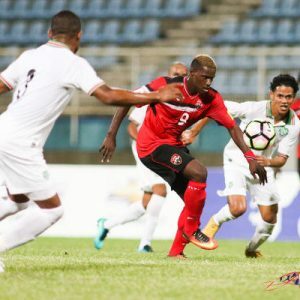 The Trinidad and Tobago senior national men’s team will have to forget their Panama laurels and focus exclusively on what is required to beat “one of the world’s best football teams” tomorrow evening. The Soca Warriors take on top-of-the-table Mexico tomorrow in a hyper-crucial 2018 World Cup qualifier at the Hasely Crawford Stadium. Yesterday, at the pre-match media conference held at the Stadium’s VIP Lounge, rookie head coach Dennis Lawrence showed clearly that he has no illusions about the enormous task facing his men. Photo: Mexico’s Javier “Chicharito” Hernandez celebrates after scoring against Costa Rica during their 2018 FIFA World Cup qualifier football match in Mexico City on 24 March 2017. Both teams are coming off recent victories. “El Tri” sauntered to a 2-0 victory over Costa Rica to seize top spot in the CONCACAF Hex table on the same evening that the Soca Warriors edged Panama 1-0. 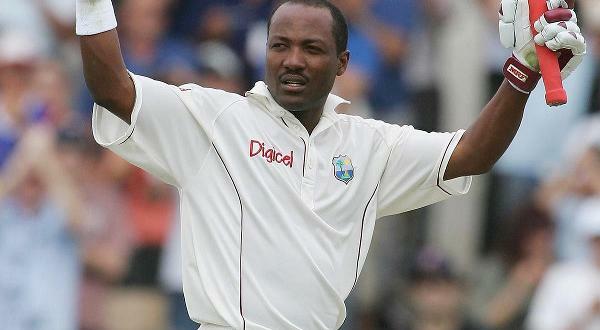 That victory earned T&T their first points in the Hex but Lawrence is not about to let it go to his or his team’s head. 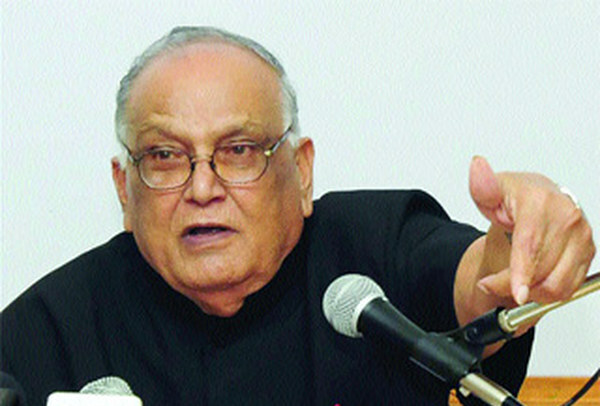 He has, he said, continuously underlined the importance of getting his players to switch on—a more difficult task this time around than was the case with the Panama game. The former Everton FC assistant coach seems confident his team has been buying into his philosophy. 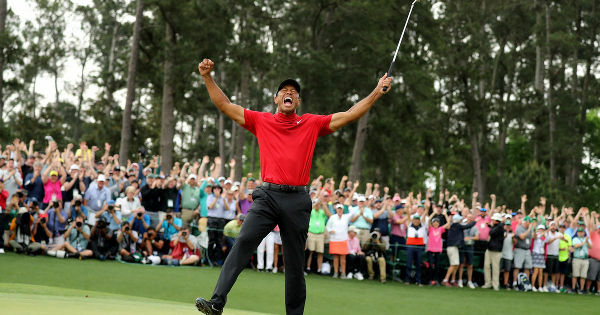 He said he asked them on Friday to fight for their country and, at the final whistle, believed they had done just that. He is asking for more of the same tomorrow against Mexico. “What I’ve tried to do is to focus them on what they can do,” he explained, “[and] what they did in the Panama game to allow them to believe in themselves. Lawrence commented that he will not be solely basing his tactics on individuals as he believed that Mexico’s tactical flexibility means his team may find themselves up against a completely different set of players or a completely different formation come kick-off time. 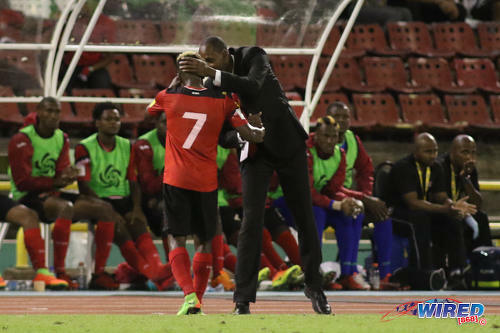 Flexibility or no flexibility, the North American juggernauts—whom Lawrence dubbed “one of the world’s best football teams”—have not lost to Trinidad and Tobago since October 2005 en route to T&T’s historic 2006 World Cup bow. However, recent outings provide room for optimism about a favourable outcome for Lawrence’s Warriors. 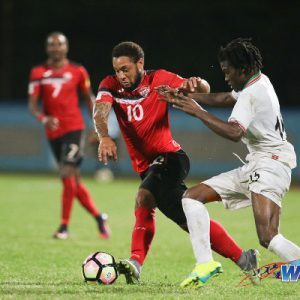 In 2015, Trinidad and Tobago battled to consecutive 4-4 and 3-3 draws with the Mexicans. 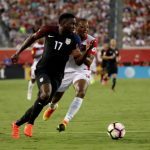 The first meeting, in the 2015 CONCACAF Gold Cup group stage, was hailed by non-partisan viewers as the most exciting Gold Cup match of all time. Mexico failed to take three points in their last two trips to Port of Spain either, as they drew 2-2 in 2009 and lost 2-1 in 2005. 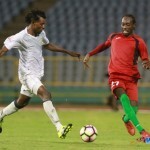 Lawrence, who played in both of the two nations’ last World Cup qualifying meetings at the Hasely Crawford Stadium, urged his players to be positive. He did concede that injuries to some of Mexico’s senior players may provide a small boost to T&T’s chances. Mexico lost PSV midfielder Andres Guardado and LA Galaxy star Gio Dos Santos to injury prior to the March qualifiers while winger Jurgen Damm and influential veteran Rafa Márquez suffered injuries against Costa Rica and are reported to be unfit to take the field tomorrow. 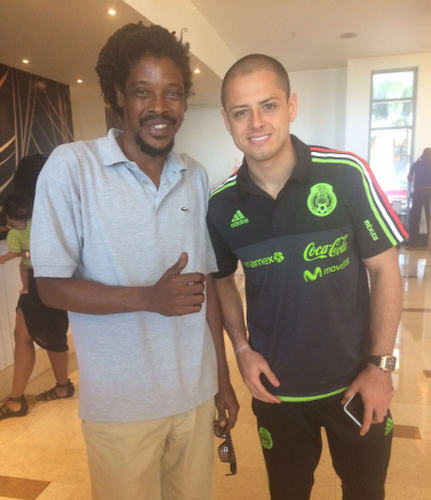 Photo: Mexico international star Javier “Chicharito” Hernandez poses with ex-Trinidad and Tobago National Under-20 Team star and Pro League legend Marvin Oliver at the Hyatt Hotel in Port of Spain on 27 March 2017. Oliver was at the Hyatt to catch up with Mexico coach Juan Carlos Osario, who coached the Trinidadian at the Staten Island Vipers in the United States from 1998 to 1999. 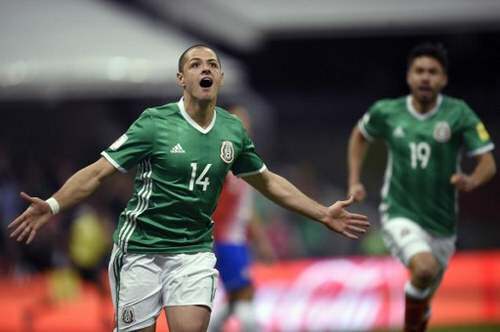 Javier “Chicharito” Hernández, who became his country’s joint all-time leading goal-scorer after his typically predatory goal against Costa Rica, was taken off with a “sore thigh.” He is, however, expected to be fit for the encounter. The former Manchester United hitman will doubtless be hoping to leave Jared Borghetti alone on 46 goals and have the goal-scoring honour all to himself by the end of Tuesday’s match. Remarkably, it will be the first time that Hernández has ever played against Trinidad and Tobago. 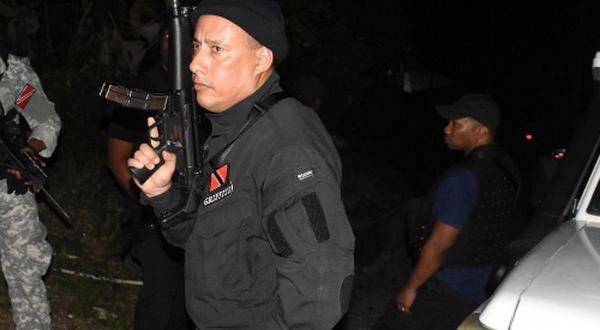 With Panama goal-scorer and central midfielder Kevin Molino over his fatigue, Lawrence also has his hitman available. And since Sheldon Bateau served his one-match suspension and his defensive partner Radanfah Abu Bakr recovered from his stomach ailment, Lawrence has a full squad to choose from. “Molino had a quicker recovery than the four weeks expected,” the coach revealed with a wry smile, a reference to the mind games he indulged in with the Mexican media at Friday’s post-Panama media conference. 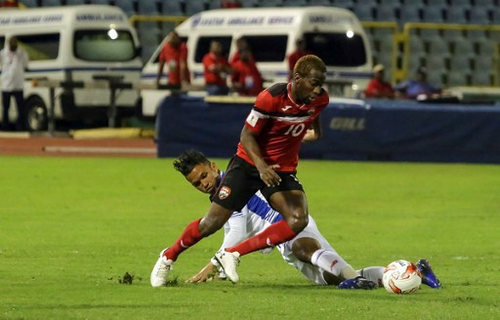 Photo: Trinidad and Tobago midfielder Kevin Molino (foreground) takes the ball around Panama midfielder Amilcar Henriquez during their 2018 FIFA World Cup qualifier at the Hasely Crawford Stadium, Port of Spain on 24 March 2017. But he kept his cards very close to his chest when it came to revealing his starting line-up. He merely commented that, like all the other members of the full squad, Bateau is available for selection and that the starting XI will be made known on match day. Forwards: Kenwyne Jones (Atlanta United FC—USA), Willis Plaza (East Bengal—India), Jamille Boatswain (Defence Force). Has the tv contract situation been resolved. Will the game be televised? I am so happy Rafa Marquez, and Gio Dos Santos not playing they are match winners. I feel Guardado was the biggest miss myself. He is a handful and a half. Just browsing various footy fan forms and I get a strong impression that Mexican fans really respect us as opponents. There is a lot of excitement and buzz in Mexico when El tri playing Treeneedad. Yes. We have a good record here against Mexico. The CONCACAF team that beats us home and away is Costa Rica. The next toughest opponent here is the USA. Mexico probably rank third. The problem with Mexico is we have no chance whatsoever in Mexico City. 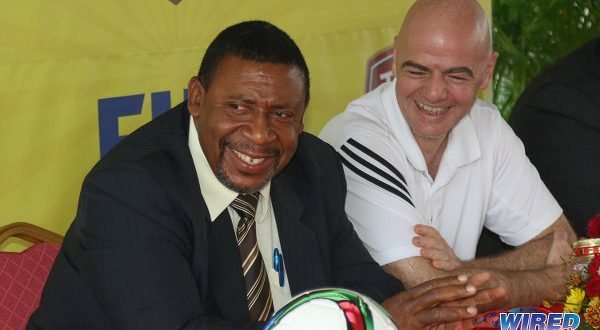 And just imagine that the goalkeepers was given their monies eh, and one goalkeeper got $1500 and the other goalkeeper got $ 2500 and when asked about the reason why this was so, he was told that the one that got the $ 2500 is living further than him eh and this is the same madness that happened when this fella in Brooklyn asked me to come and help him to organize his team to play in the semi professional league in New Jersey, so I told him that the players that I will be dring to his team are players that are playing professionally in my sweet country so the fee will be $100 US per game and the ones who never played professionally or represented our sweet country is $ 75 US per game, well he agreed but on game day after winning our first game eh, he wanted to pay my players by the way they played the game $35 US for my goal keeper Adrian Foncette who represented his College at the time in the US along with his player that he also brought to the team who was very outstanding himself and some of the other players, so I said Mr Man that wasn’t the deal and after I gave him a lashing of my tongue he then said well go and see my wife and she will give me all the right monies to pay my players, well that was the first and last game and his team mashed up yes. I really doesn’t understand why these corrupted people/ TTFA people really likes to exploit our players and our Local Coaches like this eh, it seems that they really believe that nothing local is good eh, only foreign steeuuppss. Them really good yes. The struggle is all too real Gary.. It must be those same three band Maxi taxis that the TTFA used back in 1989 in order to transport the Strike Squad team from Fyzabad to the HCS while my USA team used the 50 seater Air Contioned bus to transport them from the Radisson hotel to the HCS Them really good yes steeuuppsss. Trinidad and Tobago vz Mexico. so Mexico using a huge double Decker AC Bus. Observation from the national Stadium training sessions today. Preach the gospel, Pastor Tallest!!!!!! We in the congregation will follow you! U know their lineup? Javier playing? Good advice from the Coach. Will be watching on TV. Expecting a good battle. And my predictions is that Mexico wll finally be getting a good cut tail eh……Soca Worries 2 VS Mexico 1 Scorers Kevin Nash Molino and Mr. Bound not to score will finally buss up the nets in this game……..BOOM. On Mexico’s last five visits to Port of Spain, we have two wins, two draws and one loss. And Mexico not at full-strength. I think we have a ray of sunlight there. Yeah, Liburd, God is a Trini, ent? Hahaha. I think it depends on our energy. Mexico at altitude and Mexico at sea level are two different creatures altogether. Real test tomorrow to get any points. Let’s see how it goes.